Over the years you’ve probably heard a lot, and tried many hangover cures. Some worked, others turned out to be worthless. Here’s one that you’ve probably never tried, coconut water for hangover. Using coconut water to cure a hangover isn’t as well known as coffee. 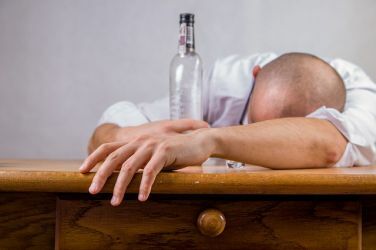 But, if you’re looking for something that will help you deal with the unwanted after effects of enjoying a few drinks the night before, it’s something worth considering. That feeling when we wake up in the morning with a pounding head and a mouth that feels like it is full of cotton wool. And, at that very moment, we swear to ourselves that we will never drink alcohol again. Of course, we all know that promise is short lived. Hangover cures come in many forms. Some of these range from a craving for fried food to using painkillers. Other employ getting 8 or more hours sleep. This is why you’ll find a lot of people who’ve drunk too much in bed for a good portion of the next day. In fact, many things have been touted to be a cure for the dreaded hangover. But, coconut water is one of the things that actually seems to help. Coconut water is loaded with carbohydrates and potassium. In addition, this drink is natural so you don’t get any more additives or unhealthy ingredients into your already mixed up system at that point. Another good thing about this kind of water is that it is low in sodium and has good amounts of potassium. Potassium gives the body the electrolytes that it needs. And, after a night out drinking, electrolytes need to be put back into your body. The reason for this is that alcohol causes dehydration. Along with leaving your body short of fluids, this radically reduces the amount of electrolytes present in your body. This is why the nutrients that are found in coconut water are valuable. They help in rehydrating your body quicker. This, in turn, helps you recover from your hangover much faster. 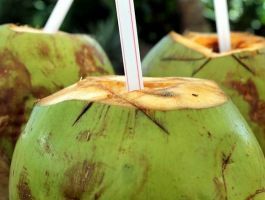 When it comes to coconut water, the young, green coconuts are the key to rehydration. This kind of coconut helps by giving you all the antioxidants that you need. And, they also have higher levels of potassium. In fact, they contain more potassium than what you will find in a banana. Other nutrients present in these fruits include magnesium, phosphorous and calcium. All of these minerals will help you get back on your feet again. They do so by replacing all the essential electrolytes and nutrients that were depleted from your night out on the tiles. 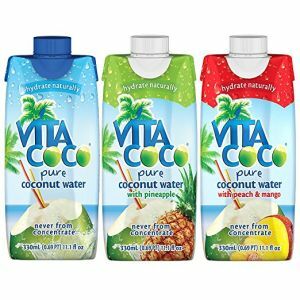 Another plus is that coconut water tastes so much better than regular water. This is one of the reasons why a lot of people seem to have trouble getting more water down when they are suffering from a hangover. An added benefit of this isotonic beverage is that it will encourage bowel movement. Therefore, eliminating the disaster that was the night before. It also helps to improve the digestive system. This makes it easier to stomach something to eat, which isn’t always the easiest thing the day after a night out drinking. Coconut water is also known to keep our body’s temperature at a normal level. It helps regulate our body temperature. And this is something that really helps because as you know, a hangover can give you the sweats as well as the chills within seconds of each other. 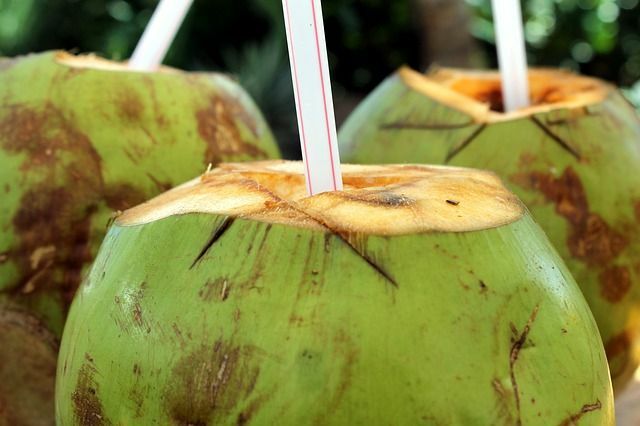 Coconut water has been called the “fluid of life”. And, if you are suffering from a hangover you will know why. It is recommended that you drink as much coconut water as you can after getting home from a big night out. Or, upon waking with the dreaded cotton mouth. For most people, the latter is probably better. The reason being that you may end up throwing up during or through the night which will just waste the coconut water. Loading up on natures hangover cure is a simple and natural way to bounce back after a night of excessive drinking. Drink as much of this water as you can, and you will start to feel like you have arrived back in the land of the living sooner rather than later. Hangover cures are everywhere and some of them can be downright crazy. You’ll find people eating raw fish and egg smoothies. Coconut water on the other hand is a natural, sweet and easy to stomach. It tastes great and a refreshing way of getting yourself back to good health in no time. Plus, it is available everywhere. You can get them in juice packs, by the bottle or from the coconut itself. No matter which way you choose to drink it, you can be sure that you are replenishing your body in a safe and natural way. So the next time you are heading off for a big night, try one of the many coconut water cocktails which are becoming more and more popular. This may be a way of killing two birds with one stone. This way you can enjoy your night out while preventing a hangover.